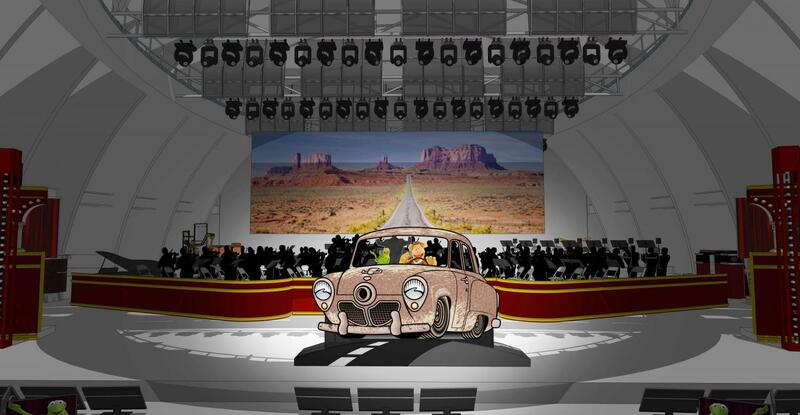 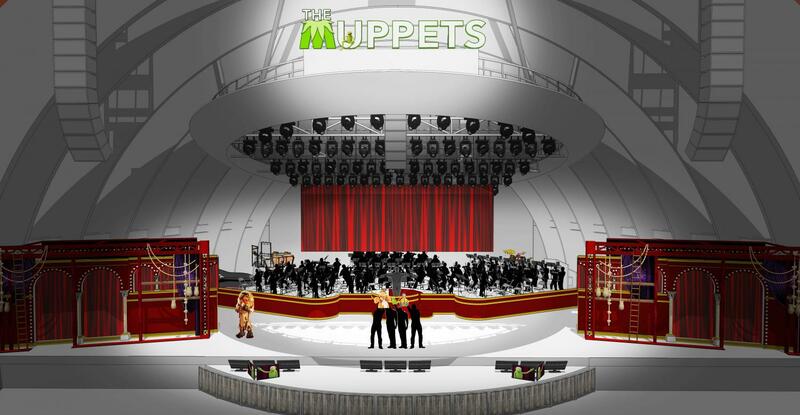 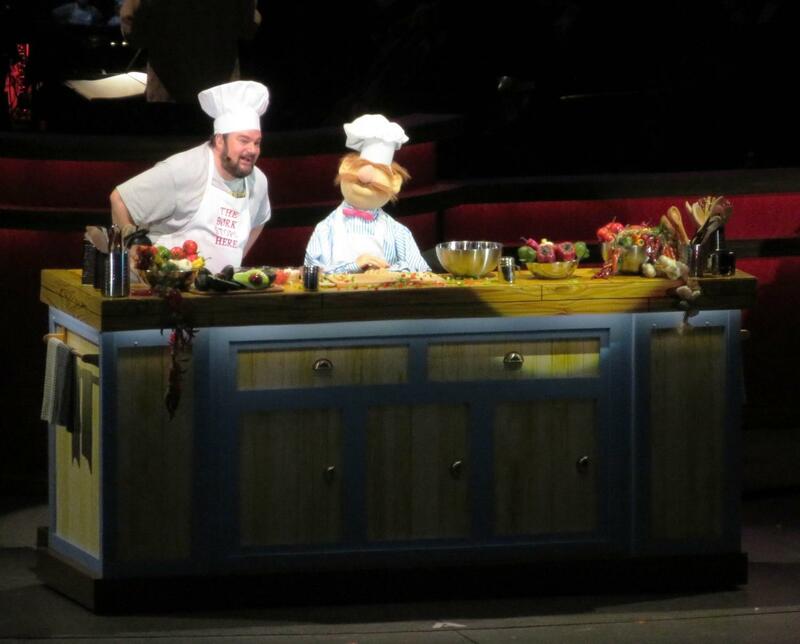 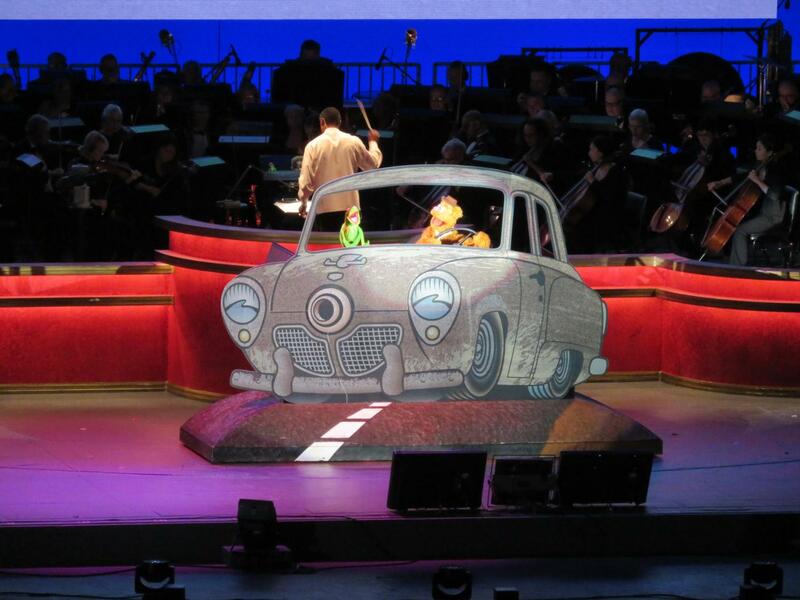 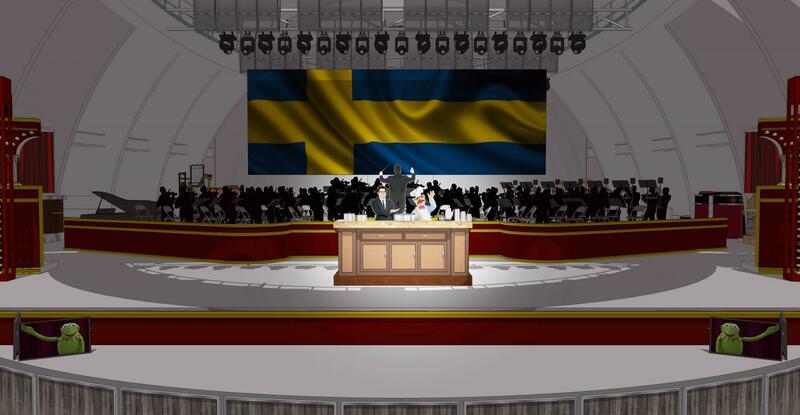 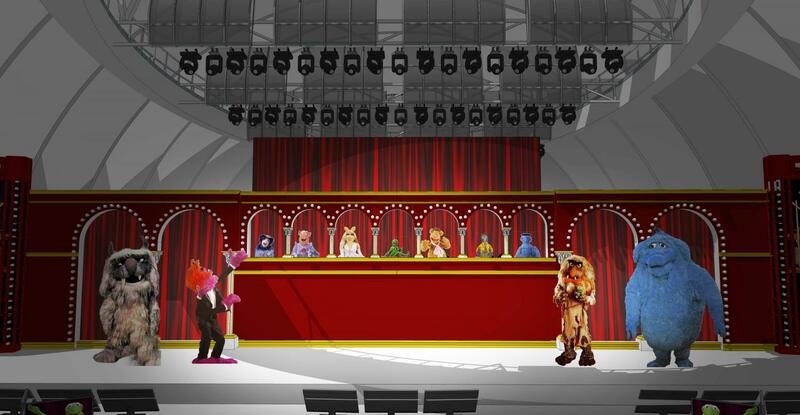 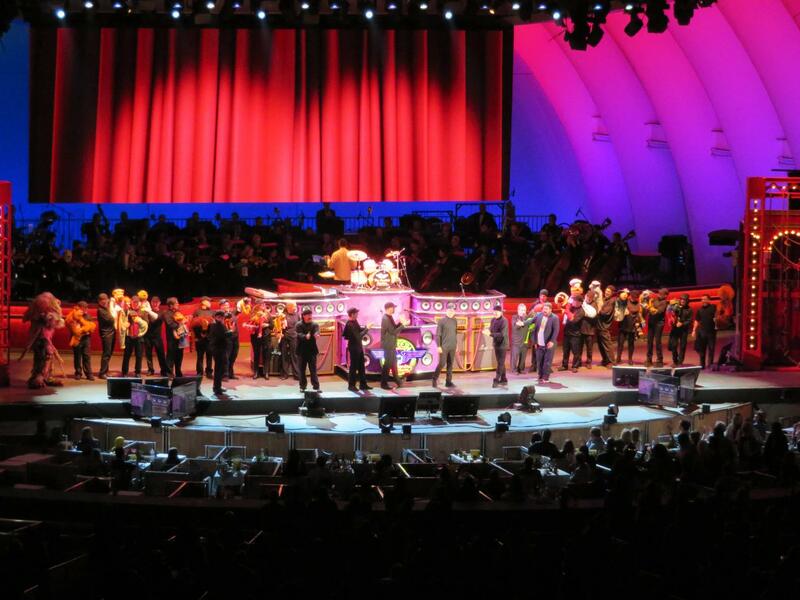 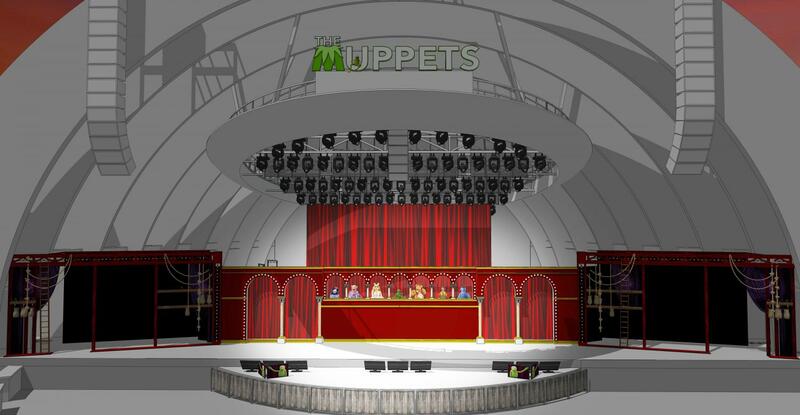 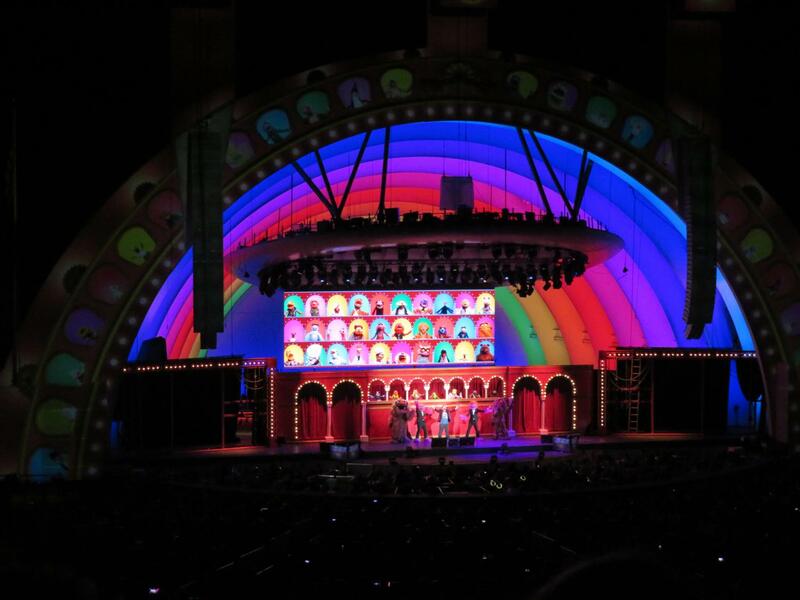 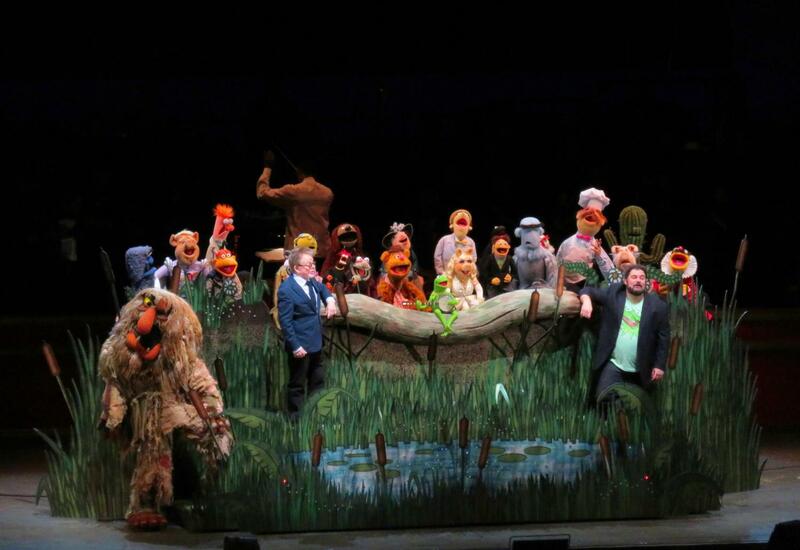 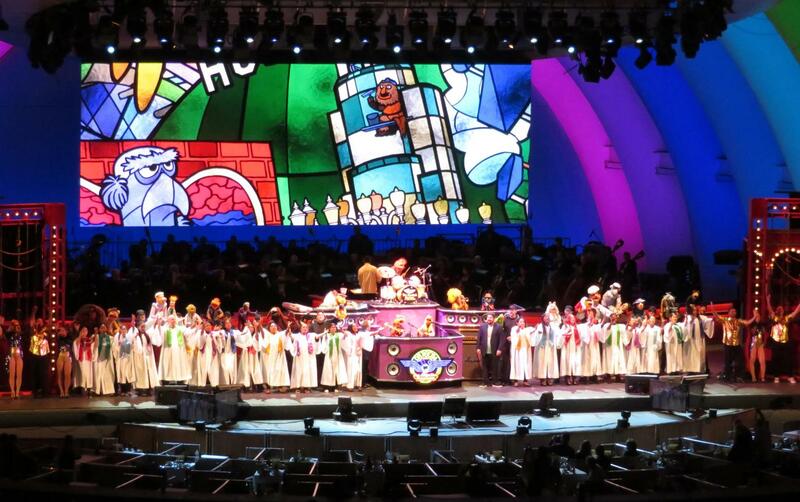 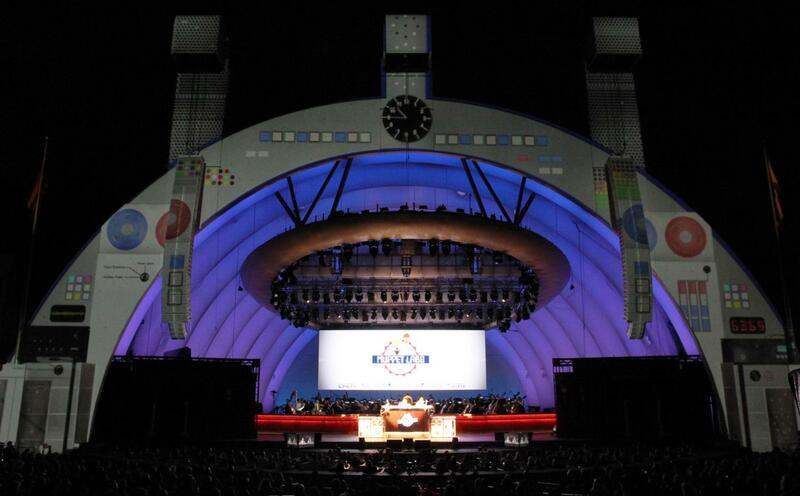 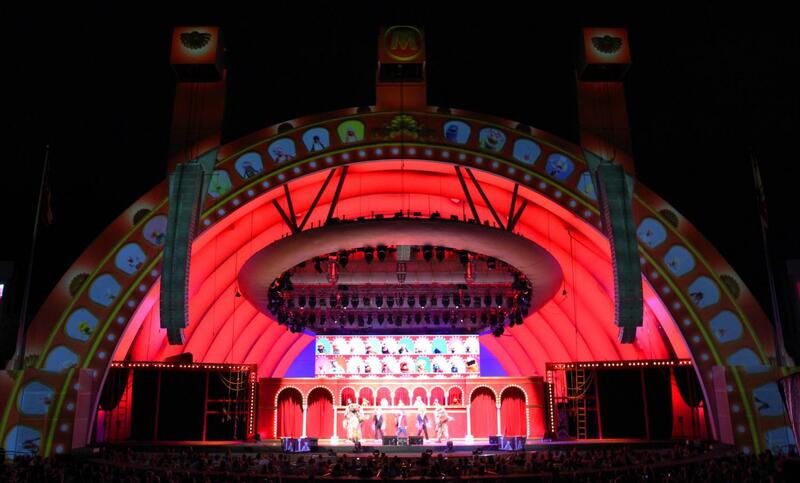 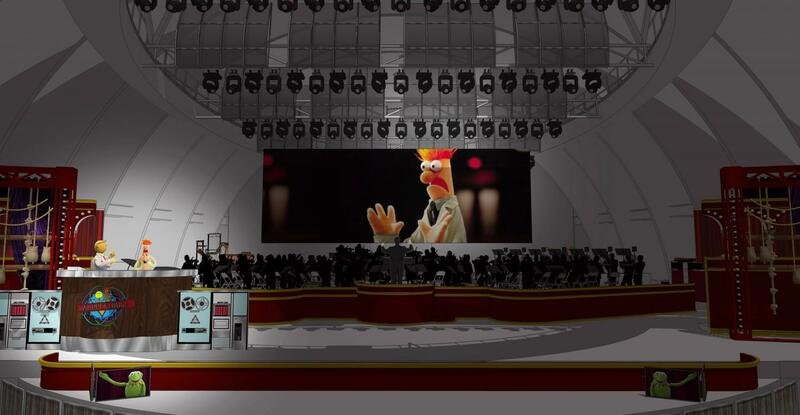 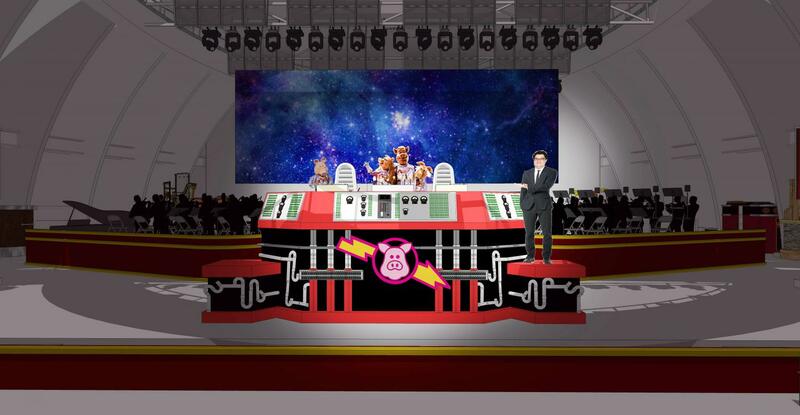 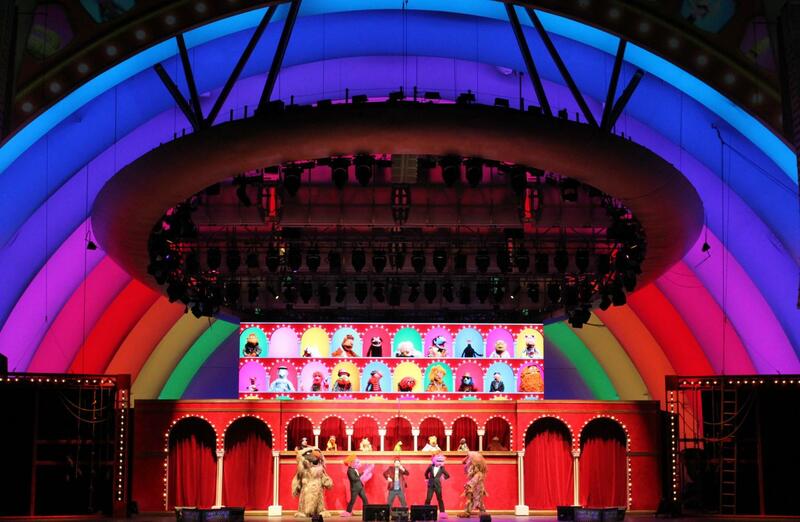 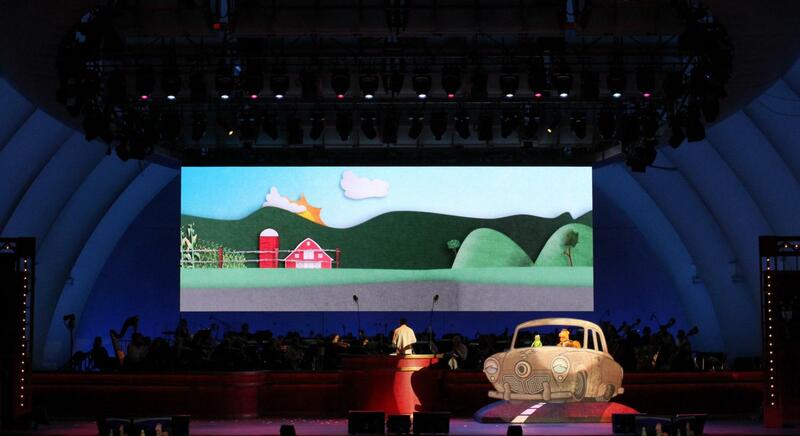 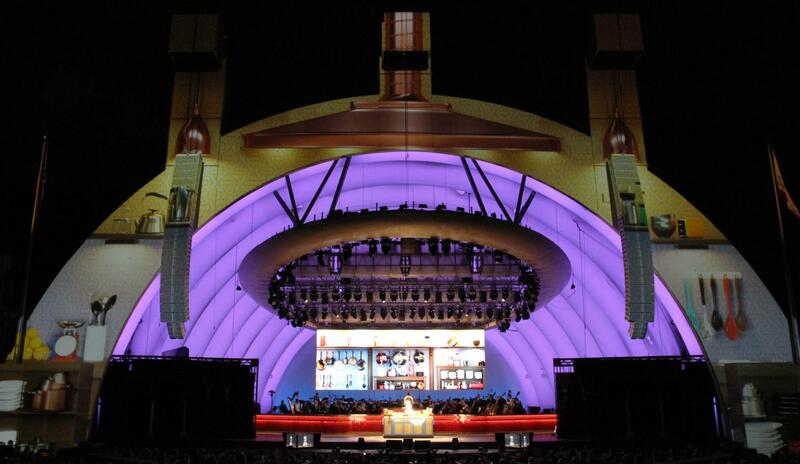 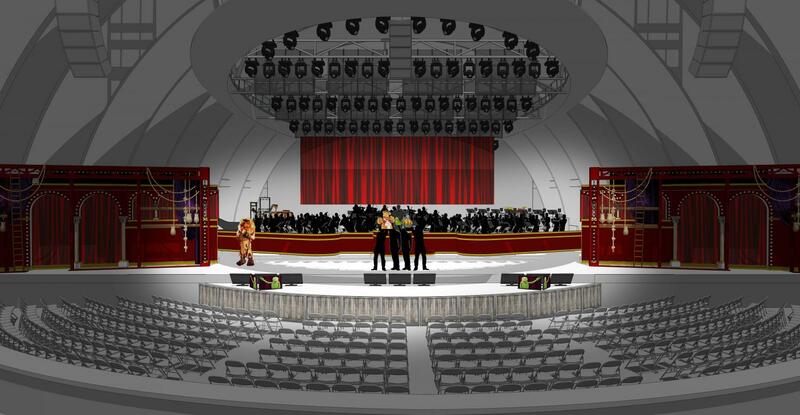 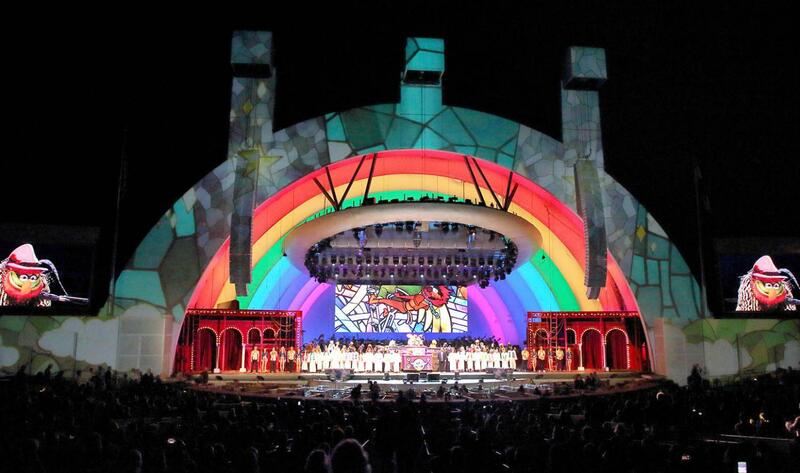 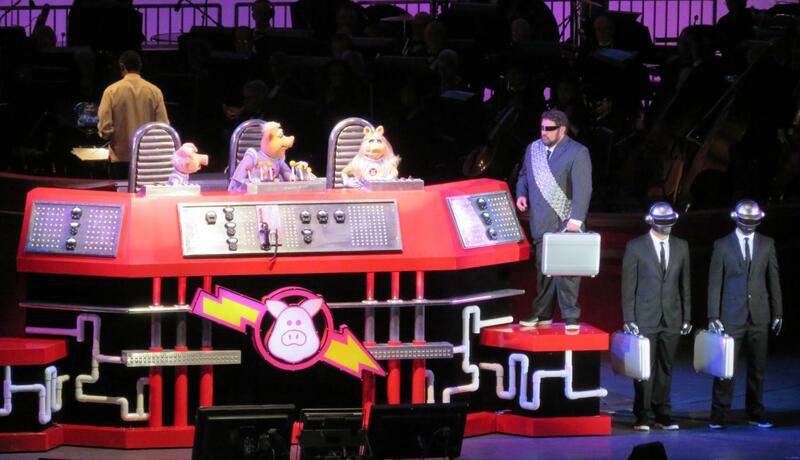 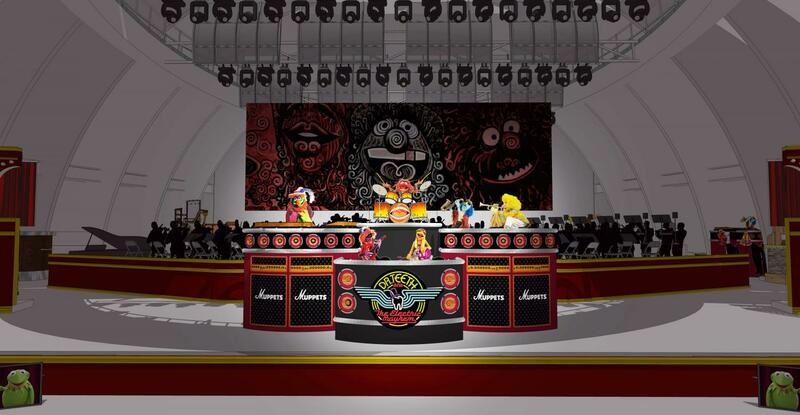 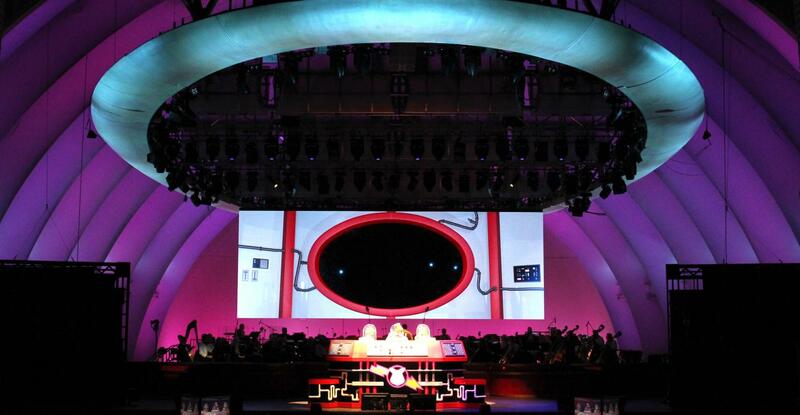 IN 2017 I ACHIEVED A CHILDHOOD AMBITION DESIGNING THE MUPPET SHOW AT THE HOLLYWOOD BOWL. 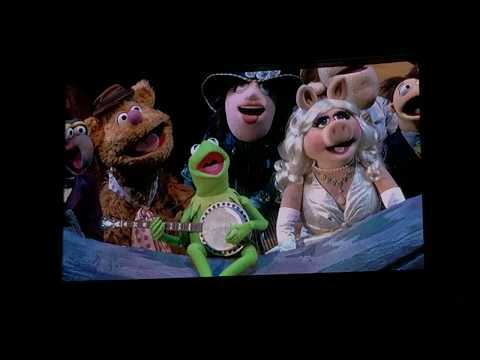 THIS WAS THE FIRST EVER THEATRICAL PRODUCTION UNDERTAKEN BY THE MUPPETS. 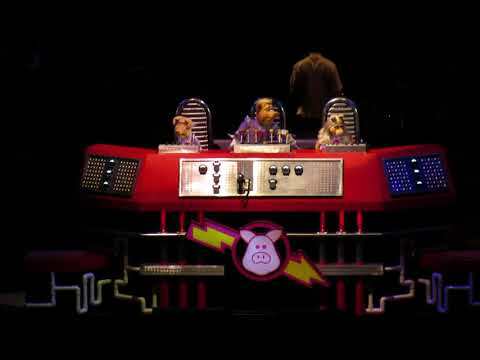 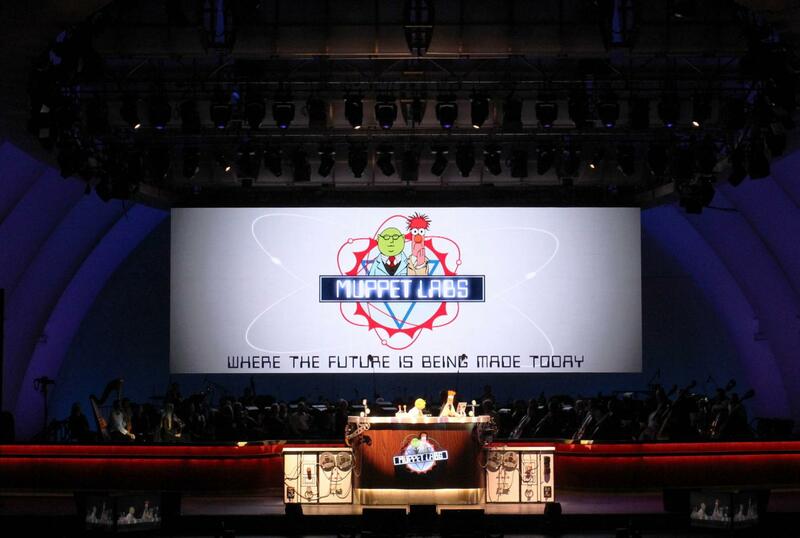 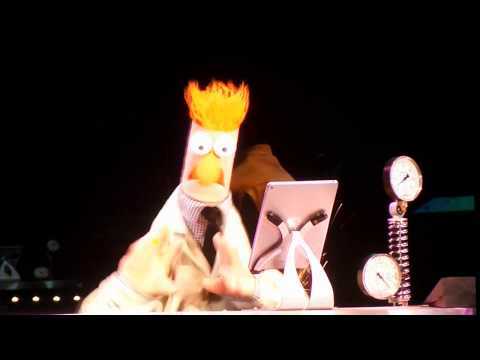 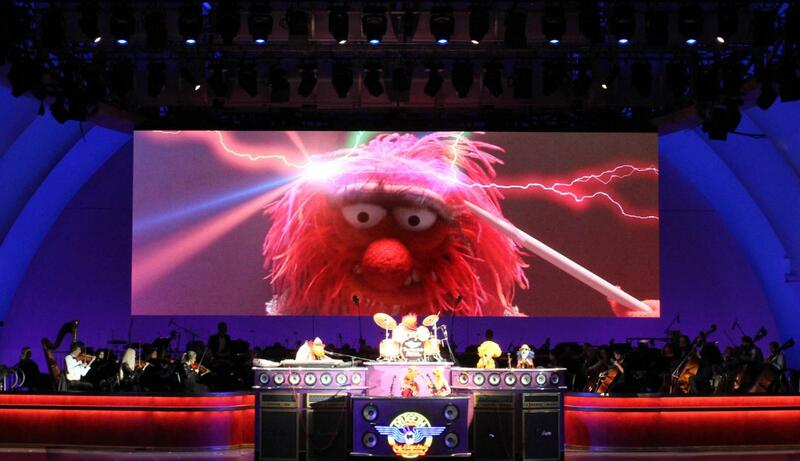 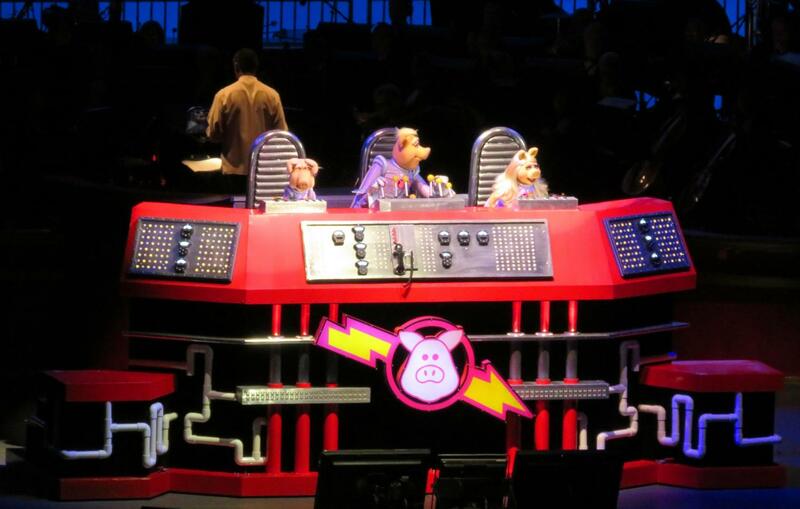 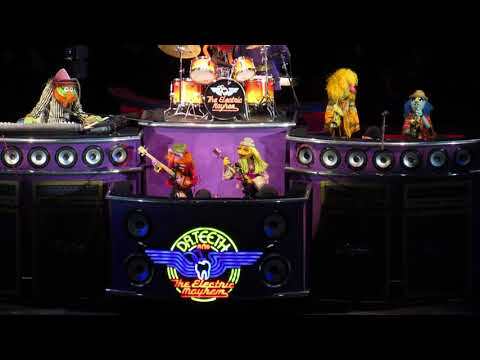 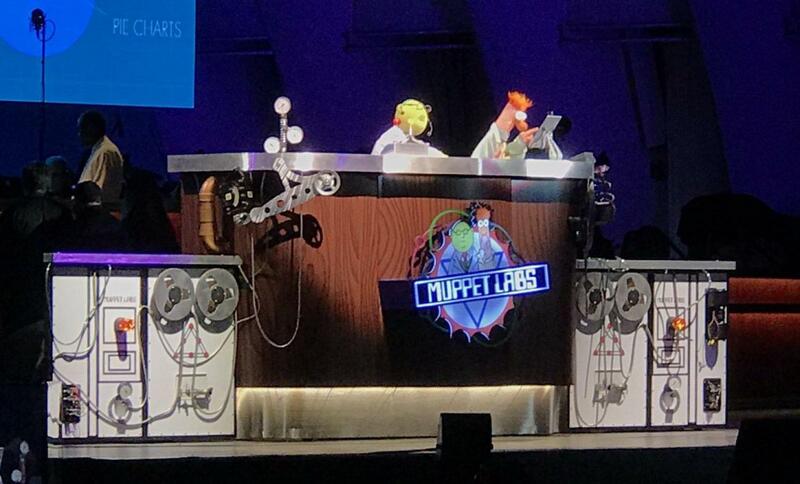 DISNEY PRODUCED WHAT WAS THE MOST AMBITIOUS LIVE EVENT EVER UNDERTAKEN BY THE MUPPETS. 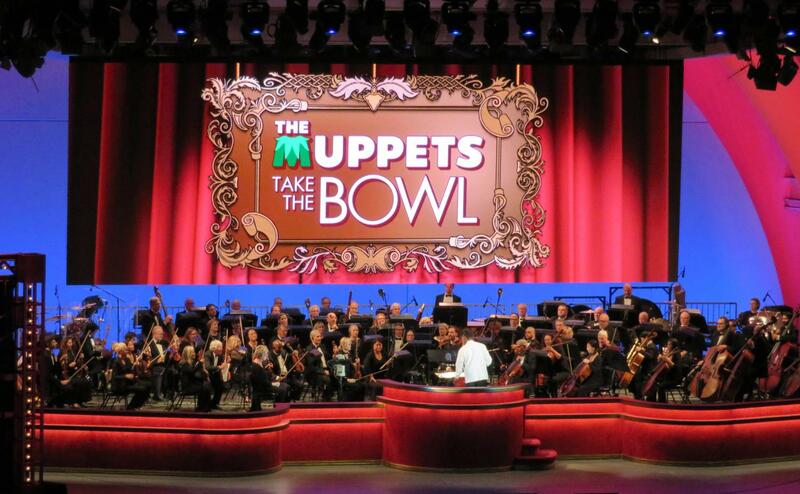 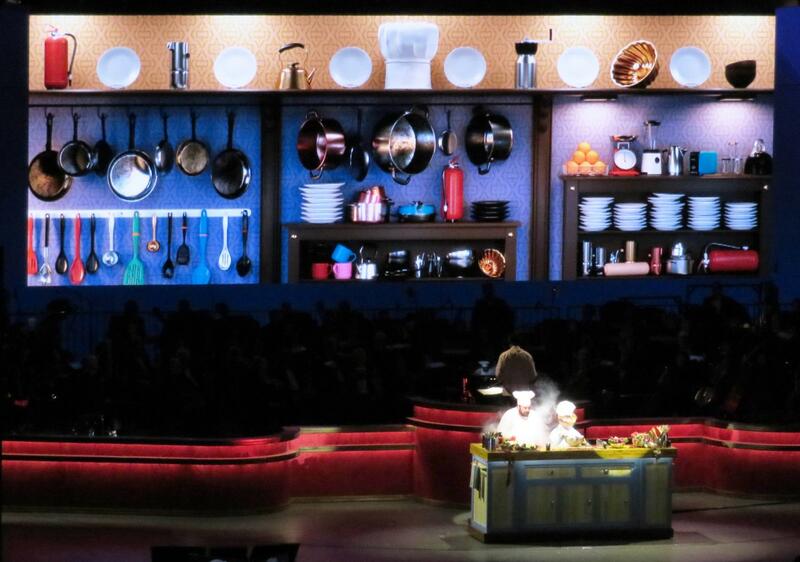 INSANELY AMBITIOUS WITH A 60 PIECE ORCHESTRA OVER 30 PUPPETEERS AND DOZENS OF SET PIECES AND PROPS ALL LOADING IN AND OUT OF THE BOWL IN REP. EVERY PIECE WAS GIMMICKED AND LOADED WITH SPECIAL EFFECTS, AUTOMATION AND TV MONITORS. 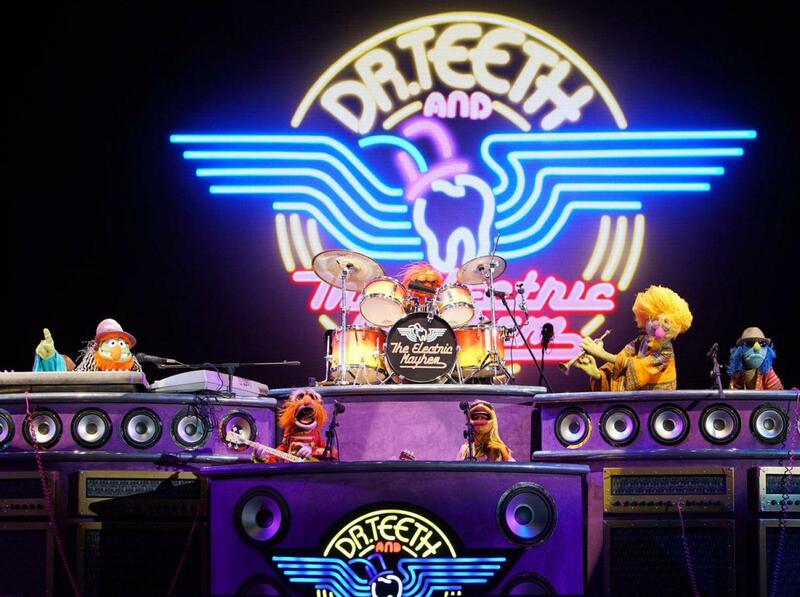 THIS WAS A CAREER HI LIGHT WORKING WITH MANY OF THE ORIGINAL PUPPETEERS.